The liver is one of the most important organs in the body when it comes to detoxifying or getting rid of foreign substances known as toxins. It processes about 2 quarts of blood every minute, removing particles and preparing them for elimination. This makes the liver one of the hardest working organs in the body. The liver detoxifies harmful substances through a complex series of chemical reactions. Through these chemical reactions the liver is able to convert fat-soluble toxins into water-soluble substances that can be excreted in the urine or the bile depending on the particular characteristics of the end product. In other words, the body's natural liver detoxification process involves two steps; Phase 1 and Phase 2. Phase I detoxification involves a group of enzymes, referred to as the cytochrome P450 family. Some 50-100 enzymes make up the cytochrome P450 systems, with each enzyme working more efficiently at neutralizing certain classes of chemicals. Phase I enzymes can directly neutralize some chemicals, but most toxins are converted to an intermediate form of the toxin. The intermediate form is considered more toxic than the original and requires the action of Phase II detoxification to complete the cycle. A toxin initially enters Phase 1, where it is reduced to smaller fragments or toxic intermediates. These small fragments of the toxic intermediate then progress to Phase 2, where they are bound to molecules such as glutathione, glycine and sulfate. This process creates a new non-toxic molecule that can be excreted in the bile, urine or stool. Our natural therapies enhance Phase I and Phase II pathways. Every day we are exposed to toxic substances in the air we breathe, the water we drink, and the foods we eat. It is very good medicine to practice detoxification to reduce the toxic burden on the body by removing these substances that can lead to disease. Toxic substances can be from both external and internal sources. Food additives, chemical solvents from industrial waste, pesticides and herbicides, drugs, and alcohol are all substances that we ingest that need to be detoxified properly. These wastes do not only come from large industrial chemical factories. Many of these are the detergents, cleaners, pesticides and herbicides we use in and around our home. We also produce toxins internally from bacteria and yeasts that inhabit our gastrointestinal tract. If not handled properly, these can grow and cause imbalances that lead to disease. Using detoxification strategies can help you avoid illnesses and reduce the body's toxic burden, as well as help to alleviate them. Toxic overload and the inability to effectively eliminate toxic substances have also been associated with serious health conditions, such as Parkinson's, Alzheimer's, and rheumatoid arthritis. The liver is the primary detoxification organ in the body. It's a good idea to treat your liver well in order for it to keep you well. One way we can support the liver is to nourish it with important vitamins and minerals. Eating healthy, fresh fruits and vegetables, good quality whole grains, high fiber, legumes, and low fat meat, poultry and fish provide these vital nutrients. 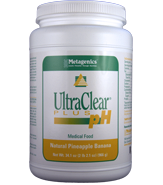 The objective of oral chelation is to improve ones health and nutritional status by replacing toxic heavy metals with essential elements. Chelation Therapy uses a chelating agent such as Chlorella, Cilantro, EDTA, or DMSA to tightly bind to heavy metals and transport them out of the body, generally through the urine. Clinical Benefits of EDTA have been documented to include improved circulation, lowered cholesterol and blood lipids, lowered blood pressure, and an enhancement of energy production in the mitochondria. EDTA is considered by some to have life extension benefits. These benefits are believed to be due to the removal of heavy metals from the body. EDTA is also an anti-coagulant. Oral chelation was first developed as a method of treating heavy metal poisoning for metals such as lead, mercury, cadmium, arsenic and aluminum. Since then it has also been used by some physicians to treat atherosclerosis and coronary artery disease. Metallothionein is an important protein that binds to metals in cells and facilitates their elimination. Metallothioneins are present in almost All forms of life [1,2]. Genomes of higher organisms contain multiple metallothionein genes, which encode different metallothionein isoforms. All mammals express at least four types of metallothioneins, assigned metallothionein-1, metallothionein-2, metallothionein-3, and metallothionein-4 . Metallothionein-1 and metallothionein-2 are expressed in almost all tissues, whereas metallothionein-3 and metallothionein-4 are tissue-specific . In the body, large quantities of metallothionein are synthesised primarily in the liver and kidneys. Their production is dependent on availability of the dietary minerals such as zinc, copper and selenium, and the amino acids histidine and cysteine. Metallothioneins bind physiological metals such as zinc and copper and participate in the regulation of cellular metabolism of these metals. The function of metallothioneins is not fully clear, but experimental data support participation of metallothioneins in regulation of Zn and Cu, detoxification of toxic metals like cadmium, silver, copper and mercury, and in protection of cells against reactive oxygen species and alkylating agents . One of the biggest benefits of exercise is the reduction of excess body fat. While many people want to reduce their body fat to look better, there are serious health risks to carrying around too much excess fat. Fatty tissues actually clog the arteries, increase blood pressure and put additional strain on the heart. Fat is also the preferred place that your body stores toxins. Most tumors start in fatty areas. Reducing these fat deposits through exercise detoxification inherently reduces toxin levels in your body and reduces the chance of getting tumors. A major benefit of exercise is in reducing fats stored in your body. Another one of the key benefits of exercise is increased blood and lymph circulation. Your blood and lymphatic fluids distribute essential nutrients to your cells and remove metabolic waste and other toxic substances from your cells. 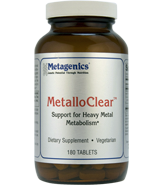 Your cells can starve and choke on this metabolic waste without good circulation. Increased circulation is another exercise benefit and thus improves the health of your cells. Finally, exercise helps control your blood sugar. Excess blood sugar or spikes in your blood sugar can be linked to a variety of maladies, including high cholesterol, Type II diabetes and Alzheimer's disease. Exercise will help to control your blood sugar. The next time you crave a dessert or sweet, take a 10 minute walk first. If you still want the sweet at the end of the walk, well, you have at least worked off some calories to compensate. Chances are that exercise's role in regulating your blood sugar will satisfy your craving. Any type of aerobic exercise that gets your whole body moving and gets your body fluids circulating at an increased rate will benefit you. The basic message is that it is better to do some form of exercise that you enjoy, rather than no exercise because we come up with excuses not to do it. To get the maximum benefit of exercise, you should exercise for 20 - 30 minutes per day, three times per week. Cardiovascular exercises help by increasing your body temperature over a sustained period, thus making you sweat out toxins. Also, they help your heart stay healthy. Core muscle exercises help massage and stimulate your internal organs. Most forms of exercise increase your breathing, thus providing a form of oxygen therapy.